Loose Leaf Lettuces, grown fresh in your garden, is one of the easiest and tasty crops to grow. Gary Pilarchik from The Rusted Garden shows you the best way to harvest, wash and store your loose leaf lettuce for maximum freshness and taste. 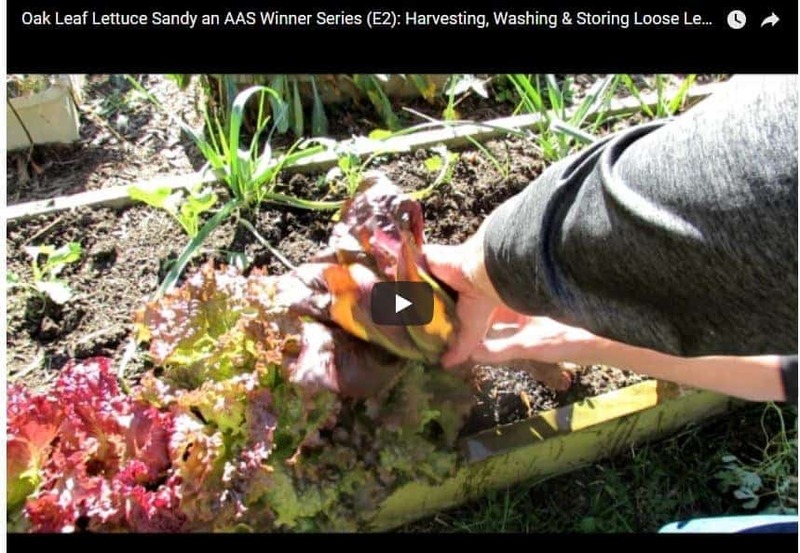 AAS Winner Sandy Lettuce is a high-quality loose-leaf oak lettuce that can be cut again and again for maximum harvest as baby leaf, or grow to full maturity for loose salad heads. The uniformly mounded loose heads are well adapted to both raised beds and containers. When planted with cool season flowers, Sandy will add an abundance of interesting texture to patio containers.